As you may be aware, there are many degrees of stress, as well as the levels of anxiety they produce. In the arena of allopathic medicine, we are often lead to believe that anxiety is always an abnormal response to stress. On the other hand, there are most certainly life events that cause incredibly high degrees of stress, and feeling anxious is more than justified. In addition, when you start adding up hidden and known causes of stress in your life, you may find that the total score is far closer to overwhelming than you first realized. That all being said, once you understand how emotional stress works, you can also use some different methods to deal with it. Contrary to allopathic medicine beliefs, you can get past major stress events without medication and keep your life moving in a positive direction without the use of medications that have dangerous side effects for your mind and body. Eustress – usually comes from positive events or experiences. This type of stress is usually considered beneficial and helpful to the person. For example, if someone you care about sends you a beautiful plant, it will probably make you feel happy. This is an example of eustress. Other positive events such as getting a job, graduating, or embracing other milestone life events can also generate eustress. It is important to note, however, that even though these events produce positive “stress”, they can still make you feel anxious and concerned about the future. They also use up energy in your system and can easily become controlling mechanisms. Perhaps it can even be said that addiction is a product of eustress related hormonal and chemical pathways because there is a reward or perceived positive stress experience. Distress – usually comes from events and experiences that make you feel upset or unhappy. Aside from being commonly blamed for panic and anxiety attacks, distress is also stress form that most people try the hardest to control. For example, if you are interested in working with meditation or some other stress reduction method, you will more than likely want to find ways to control negative responses to challenging situations. You can also channel distress into action that changes your life for the better. No matter whether you are unhappy in a job, tired of a bad relationship, or stop a destructive habit, the lack of happiness you feel can be used as a motivator to make changes rather than simply accept your position in life. No matter whether you are experiencing eustress or distress, the resulting anxiety can prevent you from carrying out normal life tasks. Consider a situation where you just leased a new car. Even though you may be happy and excited about having a reliable vehicle with a good warranty package, that doesn’t mean all your worries are over. In fact, you may suddenly find yourself wondering if your job is as stable as you think it is, more afraid of getting into a car accident, or even more concerned about your overall health because lost work time may prevent you from making a car payment. As you can see, what was on the surface a eustress can quickly become just as distressing as the situation you changed by getting a new car. It is very important to understand that stress and anxiety are always going to cause you to do something to alleviate the cause of the stress or avoid it as much as possible. No matter which path you choose, actually obtaining relief will not happen unless you acknowledge the types of stress that will be shifting as you make decisions and implement them. In the arena of allopathic medicine, people are often led to believe that anxiety past a certain point is always bad, even though the life event or experience justifies what you are feeling. To add insult to injury, many people are also led to believe that they must always strive for “positive” emotional responses even when the situation would make the vast majority of people angry, scared, sad, or depressed. Rather than accept anxiety as a sign that something is wrong with you, it may be better to see what is right about instead. From there, you will find it easier to assess the actual situation and put the anxiety aside long enough to understand what will bring the most relief. Stress and anxiety can cause you to overeat, or consume junk food that will impact your overall health in negative ways. For example, even though you don’t normally eat fast food, hearing that a family member is in the hospital may lead you to choosing junk food instead of a healthy meal. Most people do not sleep well when they are stressed out or worried about something. No matter whether an unexpected bill pops up in the mail or you have an argument with a co-worker, circular thoughts can run around in your mind for hours on end and prevent you from falling asleep. This, in turn, can lead to exhaustion which leads to injury, cancer, heart disease, and many other problems. The more stressed out you become, the more you accept a state of disharmony. This is, perhaps, one of the most insidious problems created by stress and anxiety. If you cannot sit in silence for even a few minutes without feeling like something is wrong, chances are you have literally become addicted to stress and anxiety. From there, making decisions and choices becomes (at the unconscious level) a means to maintain the homeostasis of stress. There is no question that calming your mind and emotions can be difficult once you get into the habit of it. On the other side of the equation, failure to reach a place of relaxation will only produce an escalation in stress until you have serious mental, physical, emotional, and spiritual problems. Here are three things you can do to achieve a state of calm so that your mind, emotions, and body can begin to heal, and also dial down the tendency to accept stress as normal. Schumann Resonance Generators – sometimes, no matter how hard you try, something physical in the environment will cause you to have anxiety and stress. In this case, electromagnetic radiation from man made devices can have a very negative impact on the nervous system, as well as other parts of the body. Each time you are exposed to an invisible TV signal, WIFI transmission,or other form of man made radiation, the cells in your nervous system must compensate for the interference. Since these cells actually transmit electricity around your body, EMF can cause all kinds of physical, mental, and emotional stress. 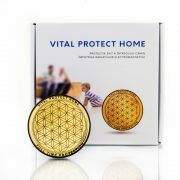 Vital Protect pendants and home devices emit a natural Earth radiation known as the Schumann Resonance. Your body is so well adapted to it, that optimal body function occurs easily in its presence. 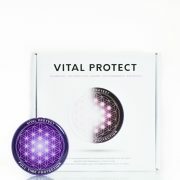 Fortunately, when you use Vital Protect, it will block out other forms of harmful man made radiation and give your body a chance to relax. As your body relaxes, your mind and emotions will also follow suit. Aromatherapy – use good quality essential oils to help your body, mind, and emotions relax. Citrus, lavender, and other herbal oils can be of use before bedtime or any other time of day when you are feeling stressed and want to stop that response as quickly as possible. If you have pets, just make sure the compounds in the oils will not harm them. Binaural beats – today, there are many different binaural beats that will bring your brain to a different state of consciousness in a matter of minutes. 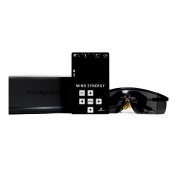 Use alpha binaurals to relax more while you are awake and focused on tasks, and then theta and delta binaurals while you are sleeping. 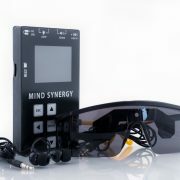 Theta binaurals are also useful for relaxation time during the day. 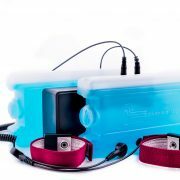 Instead of watching the news or watching TV shows that stimulate your emotions, try relaxing with binaurals instead. It will take about 30 – 45 days to replace the old stress habits with newer, more relaxing ones. Over the last few decades, people around the world have been experiencing higher levels of stress. This has resulted in people trying everything from allopathic anxiety medications to meditation and diet change. In the end, actually reducing stress and anxiety levels cannot happen until you understand what stress is, what it is caused by, and how it affects your body. Once you understand these elements, it becomes easier to choose one or more methods to steadily reduce stress responses and replace them with ones that help you get the most benefit you can from life. Share this post "How to Manage Emotional Stress and Anxiety"